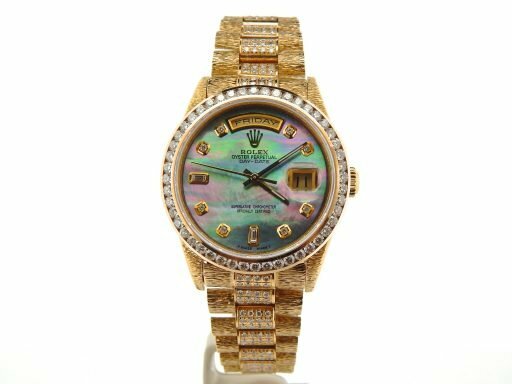 BeckerTime is proud to offer one of the most impressive GENUINE ROLEX timepieces loaded with diamonds we have sold this year! 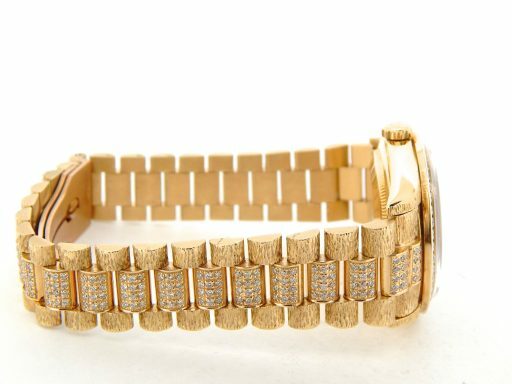 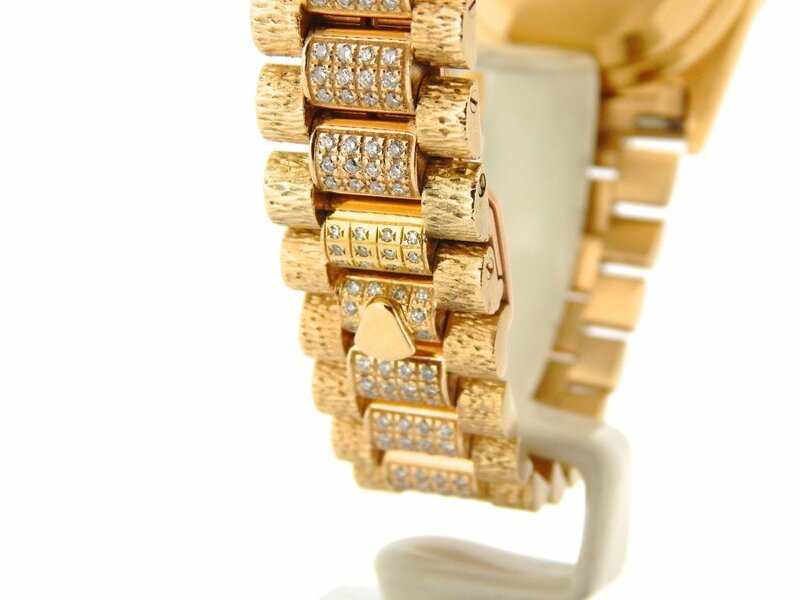 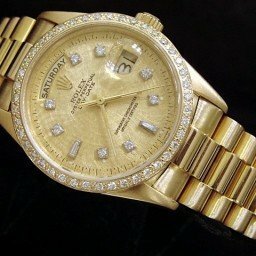 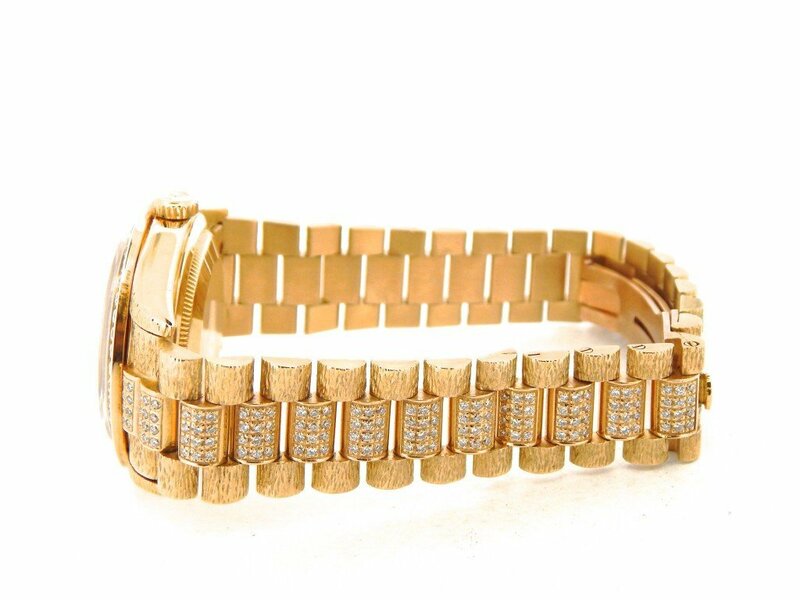 This is a Mens Rolex Day-Date President 18k Yellow Gold Watch with a custom BARK finish and 5.85 carats of genuine diamonds custom added to the band, bezel and diamond dial! This beauty is in SUPER EXCELLENT CONDITION and LOOKS NEW ON THE WRIST. 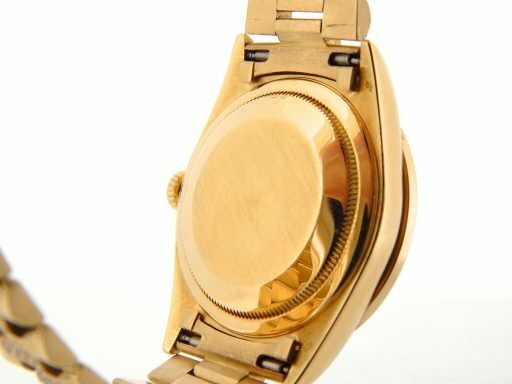 It comes with the BeckerTime 1 year warranty 100% lifetime trade-up guarantee! 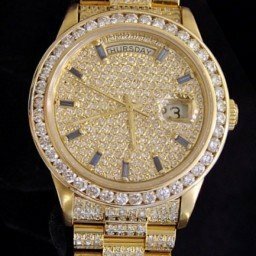 This is truly a timepiece that’s in a league of it’s own. 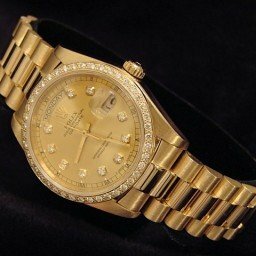 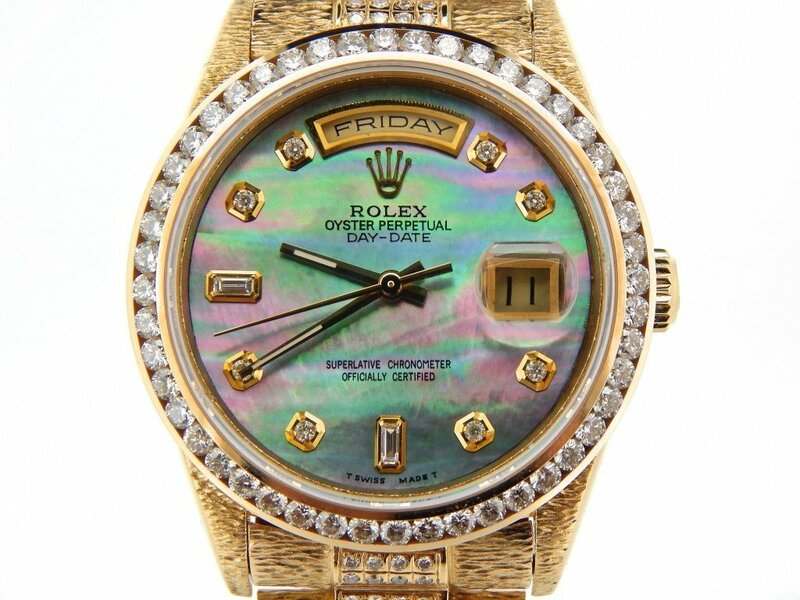 Buying a genuine Rolex drenched in diamonds in this good of condition at this price doesn’t happen often! 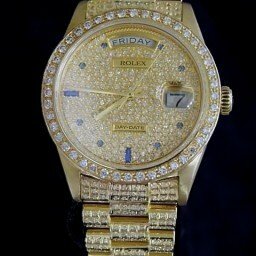 This type, if all factory, would sell brand new for more than $100,000 today. 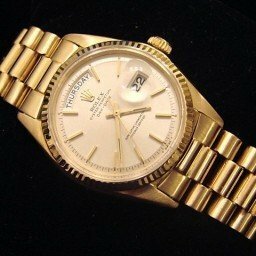 Movement Rolex officially certified chronometer self-winding automatic movement with quickset day & date function is running strong and keeping excellent time. 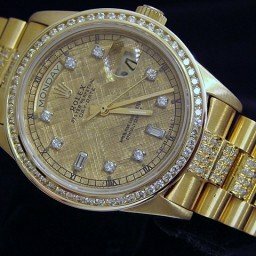 This is the most sought after & desired “DOUBLE QUCKSET” movement!!! Dial Rolex dial has been professionally refinished with custom added Tahitian MOP (mother of pearl) and 8 genuine round brilliant diamonds and 2 baguette diamonds. 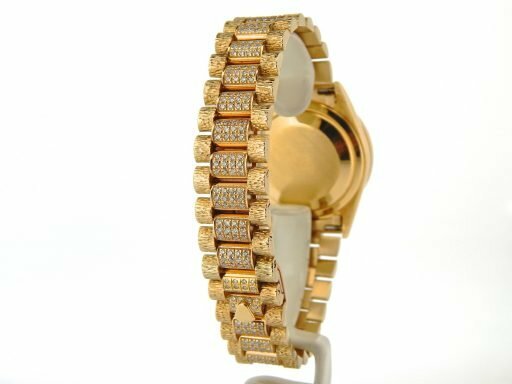 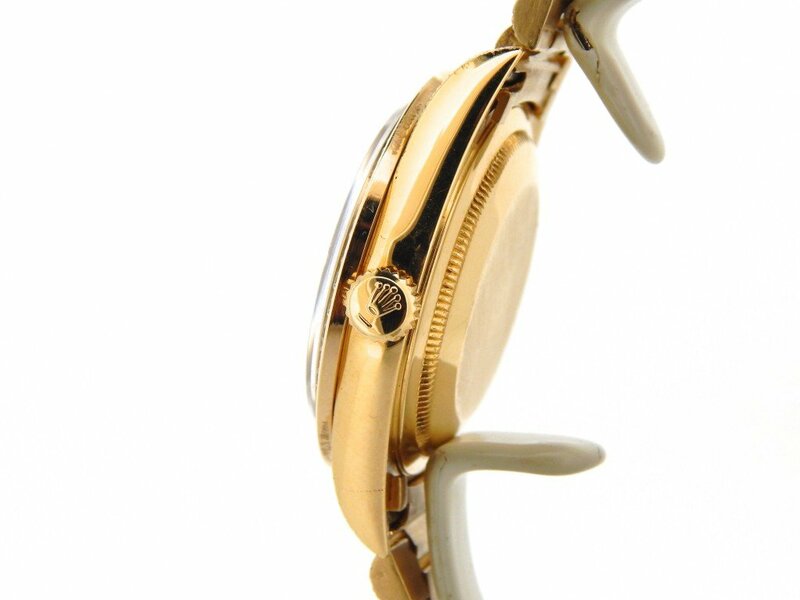 Case Rolex 18k yellow gold case is in super excellent condition. The case has the special BARK FINISH custom added to the lugs.